The Division’s Public Test Server for Update 1.4 is now available for all PC players on Uplay and Steam. A separate client needs to be downloaded in order to be able to play on this test server. We will keep it short this time and have compiled a list of useful links in case you are interested in participating in this test and want to try out the new changes coming with the next patch. If you would like to know more about the details of the changes on the PTS, you can check out the following articles about the new World Tiers feature, the changes regarding your character and gear as well as a first preview of the rebalanced Gear Sets in 1.4. Start your game client (Uplay/Steam). Start the download of the PTS client. Stop the download (game client might need to be closed now). 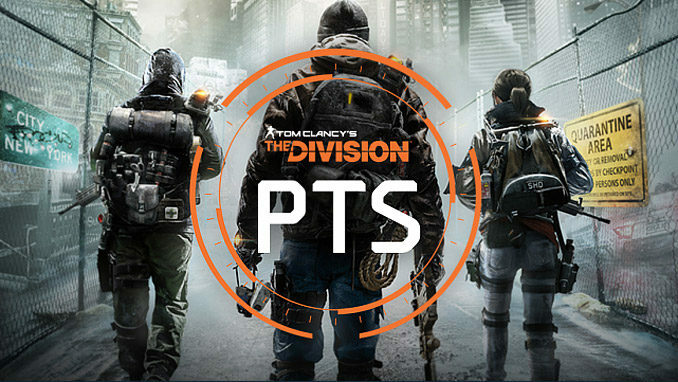 Locate your game client’s directory and copy the contents of the existing The Division folder to the for the PTS newly created one. Open your game client again and resume the download.